Although hickory is one of the strongest woods available, even seasoned woodworkers are reluctant to use it because it is extremely difficult to cut, carve, drill and machine. Yet, in the right hands, hickory can be cut, bent and shaped into amazing works of art. In America's heartland, Hilltop Hickory's craftsmen draw on skills passed down from their ancestors and a true understanding of the natural qualities of hickory to create furniture that transports its users to a simpler, quieter, more relaxing time before demanding electronics and stressful rush hour traffic. 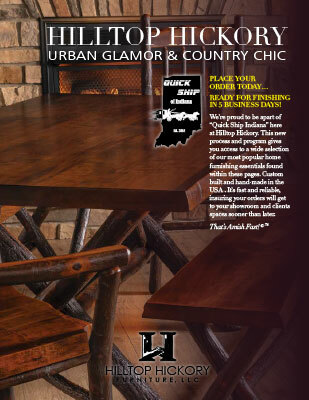 We invite you to experience the beauty and comfort of Hilltop Hickory furniture. 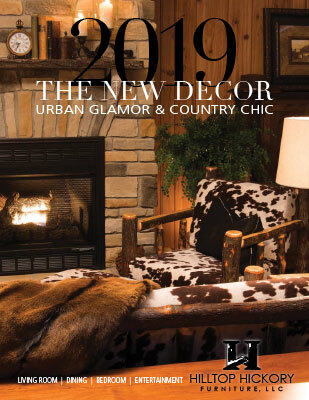 To See Our Full Line of Hand-Crafted Furniture, View our 2019 Catalog!